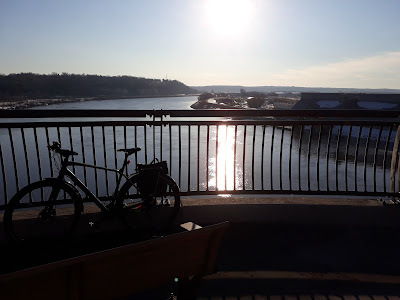 Ride North: Good morning St Paul! 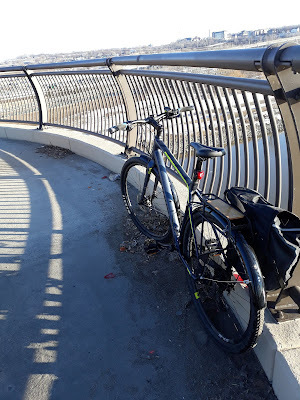 I made a sketchy attempt at biking to work earlier this month and decided to stick to four wheels a little longer. This week is bringing us sunshine and 40s, and a lot of melting. I'm hoping for better results. 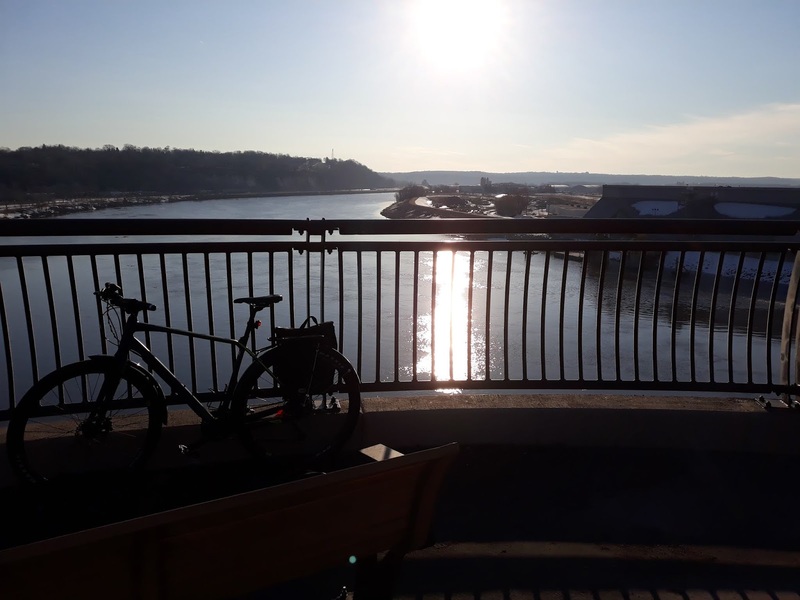 The ice is off the river and the water's rising. We're not in flood stage yet but it's coming, much of Minnesota is experiencing floods. As the rivers break up and the ice melts, ice dams form and the water backs up into towns and homes. Its a mess and the state is predicting a drawn out flood season. The Mississippi, looking down stream from St Paul. My new fenders are doing their job! I spotted a Ruckus out and about yesterday. 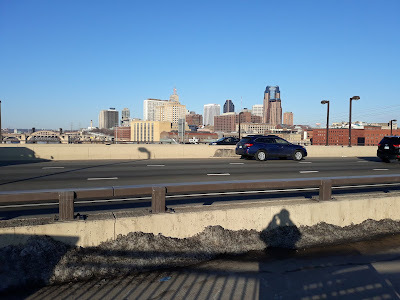 (a reasonable speed and height from which to fall from) There's still a ton of ice on the city streets during the early parts of the day. I imagine that shadows and north slops will still see ice for a while. Sorry to hear about the fog! This is about the nicest March has ever been in Minnesota. Last year we got a foot of snow for Easter!